SMART Start-up is a training program developed with the objective of combining education on Sustainable Development with business development skills. The program links the concepts of sustainable lifestyles with sustainable business development by enabling the translation of sustainability concepts into viable business models, providing an opportunity for experiential learning and business modelling at the same time. 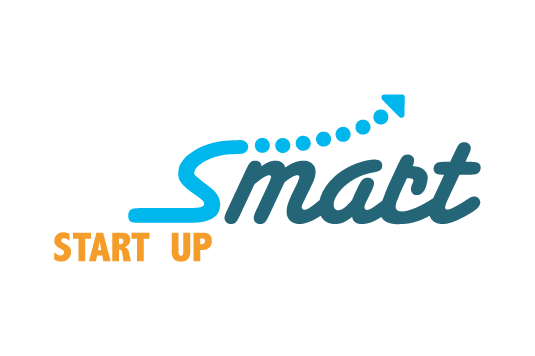 SMART Start-up was kicked off in late 2008 under the framework of programs of the Marrakech Task Force. The first edition of SMART focused on capacity building and identifying opportunities to introduce sustainability into business ideation process; it was really about providing a basic understanding of the relationship between lifestyles and businesses. While the training took place in Mauritius, the geographical focus covered all of Africa. The “train the trainers” component happened in Germany with participants of various African nations, most of them educators (business subjects) and university students engaged in organisations or activities for sustainable development in their communities. This stage of SMART Start-up ended in the second half of 2010. In 2011, the ICT edition was created to address lifestyles in relation to the ICT sector, addressing topics from e-waste to consumerism. Supported by Deutsche Telekom, this edition had its origins in the realisation of how much ICT is shaping today’s lifestyles and that the industry itself can do a lot more by rethinking its existing models and endorsing the development of new, sustainable ones. Keen on exploring ICT innovation for sustainable lifestyles in different parts of the world, SMART Start-up was delivered in South Africa, China and Brazil. This delivery was locally supported by T-Systems and other local partners, like the National Centre of Cleaner Production in South Africa and Akatu Institute for Conscious Consumption in Brazil. For the ICT edition, the participants already had various ideas for creating a business with some of them were already in an implementation stage. The workshops helped them to analyse their existing models under the lens of sustainability, identify opportunities to improve their models, and support them in the process of “pitching” their sustainability solutions to other stakeholders. SMART Start-up program proved its versatility and relevance by being adapted to the Mediterranean region. This edition, delivered to 40 young innovators based in Turkey (comprising various nationalities), was centered on challenges that the region was facing where the students worked mainly on campaigns for the environment. The training helped them to widen their scope of work from just focusing on the environment to considering impacts on society and improvements to the economy. SMART Start-up components and methodology can be adapted to a variety of contexts, stakeholders and industries, making it a user-centered experiential learning tool that endorses practices of Education for Sustainable Living and has the Sustainable Development Goals in its core.